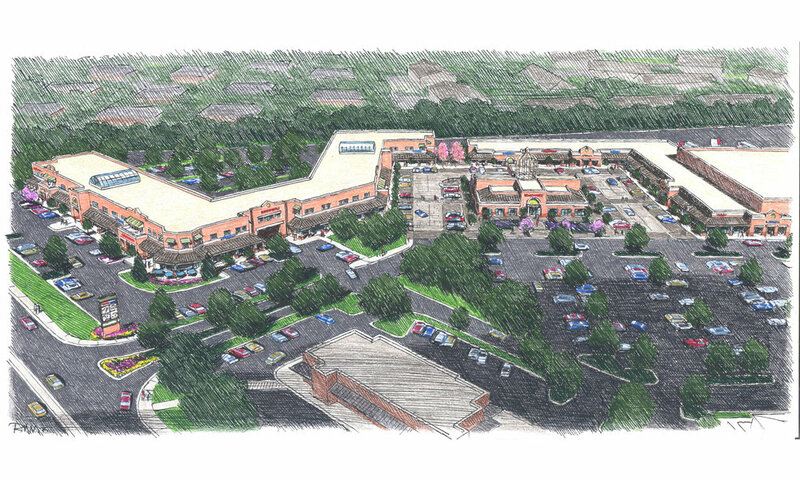 East Town Market is an open air shopping center and office suite complex in the heart of East Charlotte. The 182,362-square foot strip center is anchored by Compare Foods and Parkway House Restaurant, but also features a diverse mix of quality local, regional and national retailers and restaurants. The center is comprised of 142,212 SQ FT of first floor retail space and 40,150 SQ FT of second floor office suites. East Town Market is proud to be home to several locally-owned stores, shops and businesses as well as major national retailers. Come visit East Town and discover the incredible products and services offered by local businesses. Click below to learn more! East Town Market is located approximately 5 miles east of Uptown Charlotte at the confluence of North Sharon Amity Road, East W.T. Harris Boulevard and Milton Road. Collectively, these main corridors have a traffic count of 75,000 cars daily. All East Town Market retail suites are located on the first floor of the center, with store front visibility. Several suites are directly facing W.T. Harris Blvd and N. Sharon Amity, while others enjoy courtyard facing store fronts. All retail suites allow parking directly in front of the suite or within a very close proximity. Make East Town Market home for your business. The second floor of East Town Market is home to our office and professional suite complex. Each suite offers tenants a custom build out using a pre-selected package of fresh and modern finishes. Office suites are a variety of sizes and are accessible through a private, glass-encased entrance. The market has several hundred parking spaces for your office visitors to easily park.